In front of the Bus Station, a Japanese man stopped my cab. He was dressed with shorts, shoes and formal socks. He had a camera around his neck and a map in his hands. Yes, a tourist! Let’s go! As soon as we got to the second block on Garibaldi Street, he asked me to stop a moment. Then, he got off the cab and started taking pictures of the location. Those who know Porto Alegre know the type of “business” that happens in that block of Garibaldi Street. While the Japanese guy took his shots, the girls there tried to convince him to, let’s say, a sexual interexchange program. Indifferent, without understanding a word that was being said, the Japanese man took pictures of everything. Casually stopped in front of the dump where the pimps played pool and took care of their girls, I noticed when one of them realized the uncommon activity of that Japanese man and his camera. Since, at that point, my passenger was away from my taxi, I took my cab around the block to rescue him. At the corner of Voluntários da Pátria Street, I stopped my car beside the Japanese man and made a signal for him to jump quickly in the car. We went, leaving behind some angry guys who shouted all kinds of expletives towards my client. Later, I understood that what caught the tourist’s attention were not the girls stopped at the door, but the building façades, because even if they were in bad shape, they looked beautiful to the unadvised eyes of the foreign visitor. In Rio de Janeiro, I visited the Lapa neighborhood that with its old buildings is home to the true nightlife in Rio. It was amazing! People say that there are hookers also working there, but just as the Japanese man, I swear I didn’t see them. Gostou da história? 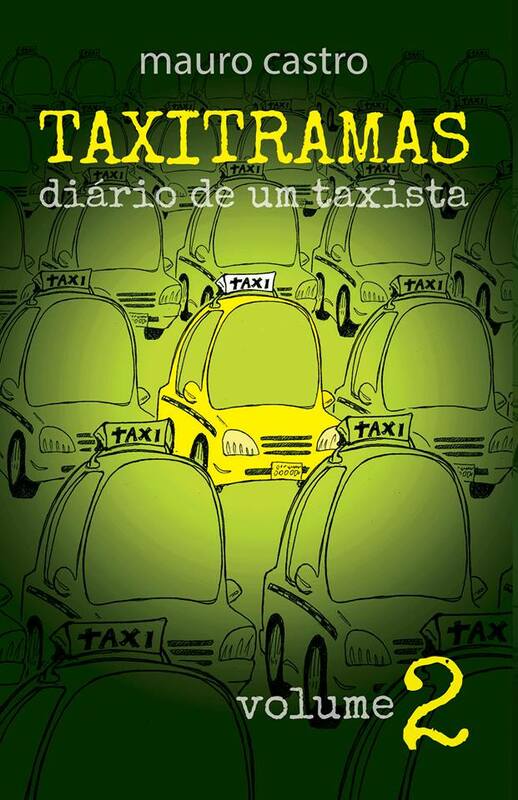 Veja mais no blog do Taxitramas ou compre o livro do Mauro, “Taxitramas – Diário de um Taxista, Volume 2″ no site da Livraria Cultura. This entry was posted in Inglês para Transportes, Tradução para Autores and tagged inglês para taxi, inglês para transportes, tradução português inglês. Empreendedor, nascido nos EUA e apaixonado por esportes americanos (e meus times RedSox, Magic e Dolphins), inovação, tecnologia, traduções, marketing digital e inovação.